A home remodel that turned out really gorgeous! There are homes that already look beautiful but the homeowners still want to renovate it to add spaces and to update its look. We have featured many homes like this on Home Design Lover and it is impressive that the house would look totally better than the original one. Well, what is the point of a renovation, anyway if it won’t look more beautiful? Today, we are going to feature another home that underwent a renovation and you will surely love the look of the house after the transformation. Actually built-in 1953 by mid-century modern architect, Gregory Ain, the Feldman House has been renovated and modified completely. 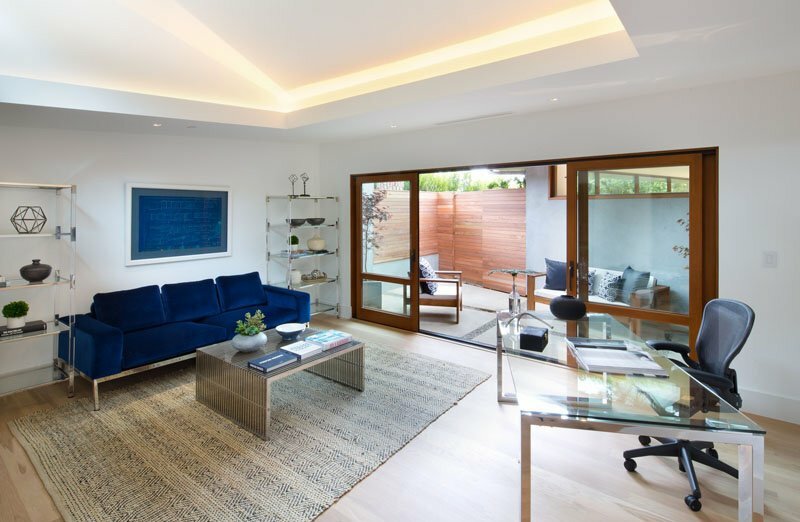 The renovation, completed by Core Development Group, has transformed the home into a space that is simply perfect for entertaining. The home was expanded and updated while preserving the integrity of the initial architecture and context. 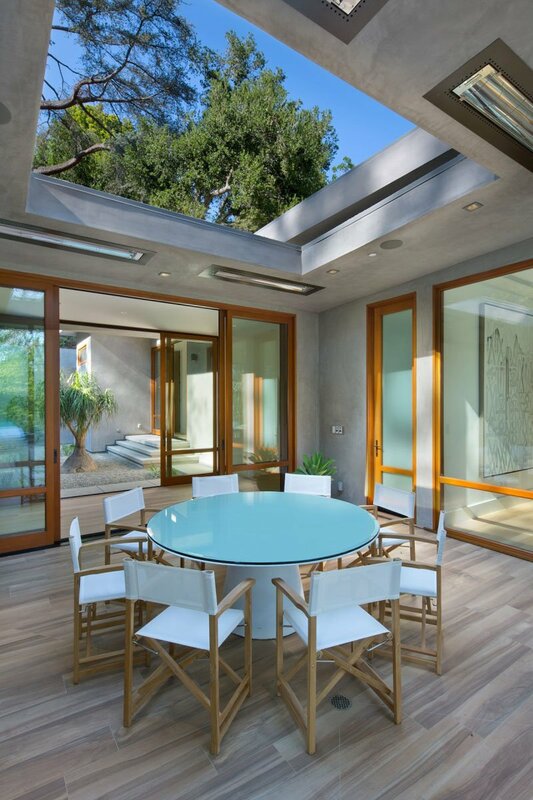 This delightful modern real estate offers 11,300 square feet of private serene land just below an acre of wooded grounds, up the road from the Beverly Hillsides Hotel. The prevailing mid-century modern house was maintained and broadened without destroying the integrity of the initial design. The height and scale of the additions build a boundary that centralizes the initial structure accentuating its dramatic roof and deep overhangs. The usage of clear fir windows and doors, transported over from the initial design, the continuation of the sloped roof top and ceilings, the addition of private outdoor areas next to all rooms and master bathroom, integration of technology and light without detracting from the architectural varieties, all make the addition merge with the original home. Unique feature: A home renovation featuring a lovely infinity pool and a beautiful interior with gardens eveywhere. What attracted me most in this house the pool area that sits in its facade. Notice how the lights in it bring more drama to the space making it look really stunning especially during the night. The trees around it also bring the much needed drama to the area. Would you dip into these cool waters or lounge on its deck? 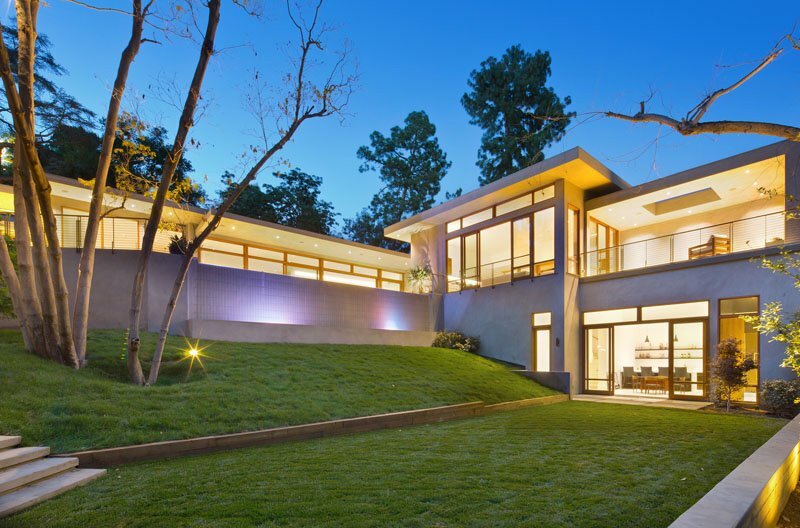 Here is a glimpse of the home’s landscape with green lawn, concrete steps, and landscape of this stunning mid-century home. You can also see the structure of the house as well. After the renovation, the original floor plan was retained but updated some features like the infinity edge swimming pool. You can also see here the outdoor deck with lovely contemporary furniture. Notice also that the house has many glass windows and doors around it. 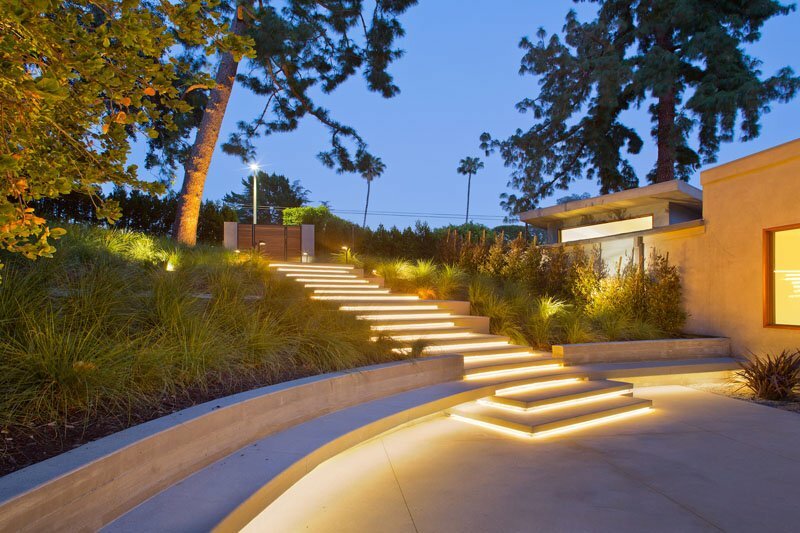 Seen here is the lighted concrete steps of the house which is surrounded with bushes. Trees are also seen growing around the area. 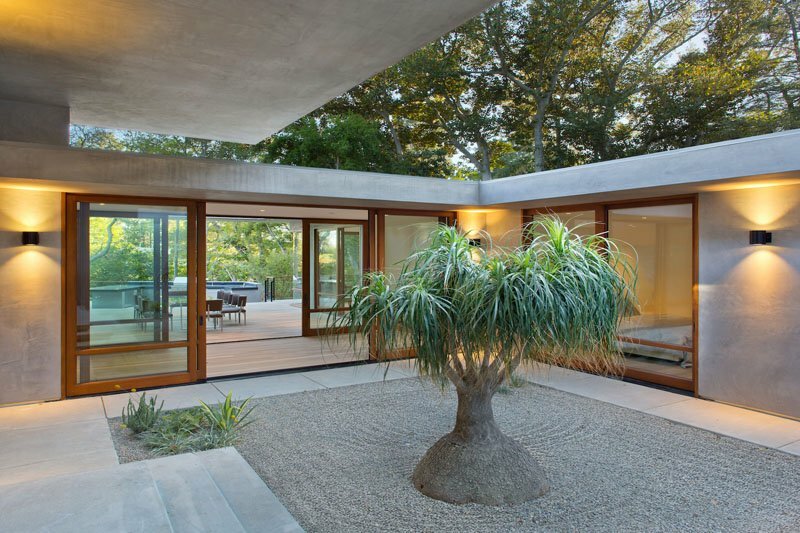 This part of the garden has a curved concrete part which brings a soft appeal to it. This is how the swimming pool looks like during the day. 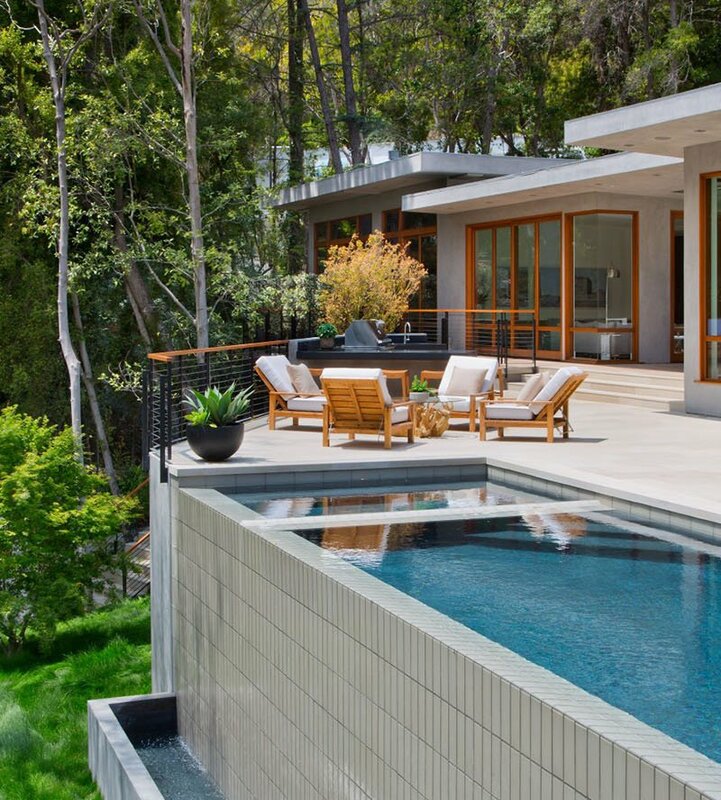 Aside from the infinity pool, its water alls into a another rectangular portion for a dramatic landscape appeal. Next to the foyer of the house is the living room which opens up to the deck. It has an eclectic mix of furniture with a gray area rug that defines the living space. It also has a black fireplace with a long bench that connects to it. 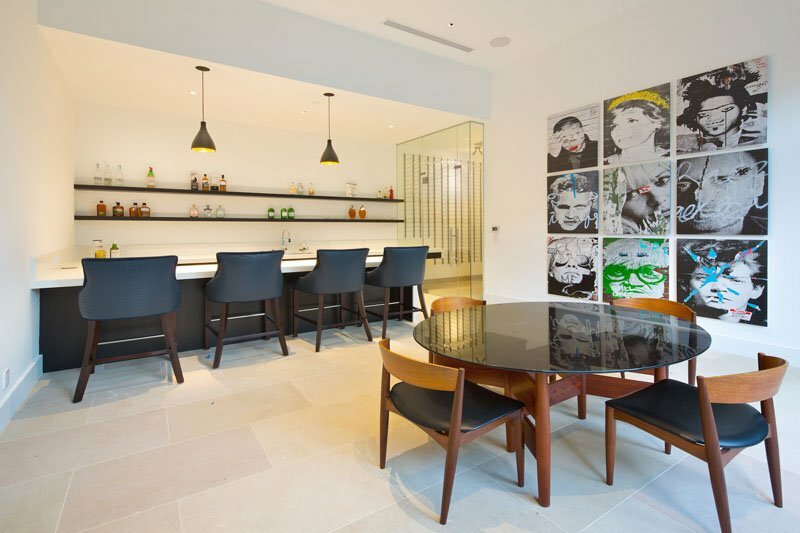 There is also a more informal lounge and bar area in the house which you can see in this space. A wooden coffee table is used for the lounge with a comfortable L-shaped sofa. 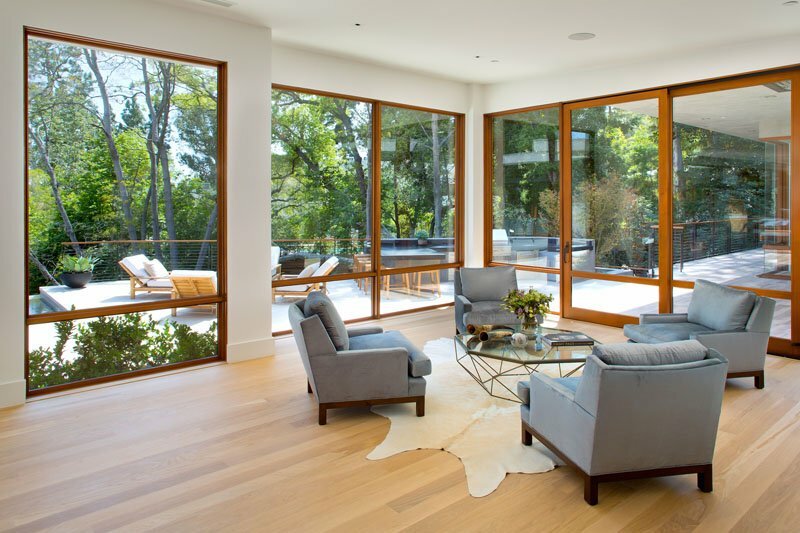 There is also a foyer with views of the deck outside since it is surrounded with floor to ceiling glass windows. Isn’t it nice to see the outdoor living space, kitchen and pool? Back in the interior is a kitchen with a large island that’s big enough to seat five people. Aside from that, it also has a dining room with a table that is large enough to seat twelve people, and it opens out onto the deck. This custom built bar makes this room perfect for entertaining. Don’t you love the wall decors in here? Two hallways connect the bedrooms and other areas of the home. It has a wall feature that appears like an area for wall climbing. 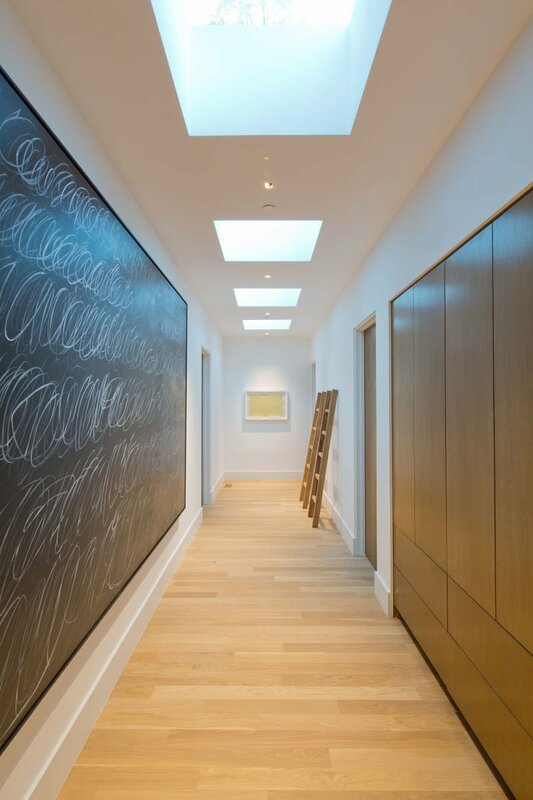 For this hallway, the walls are covered with chalkboard so the owners can artistically scribble some drawings on it which doubles as a wall decor. 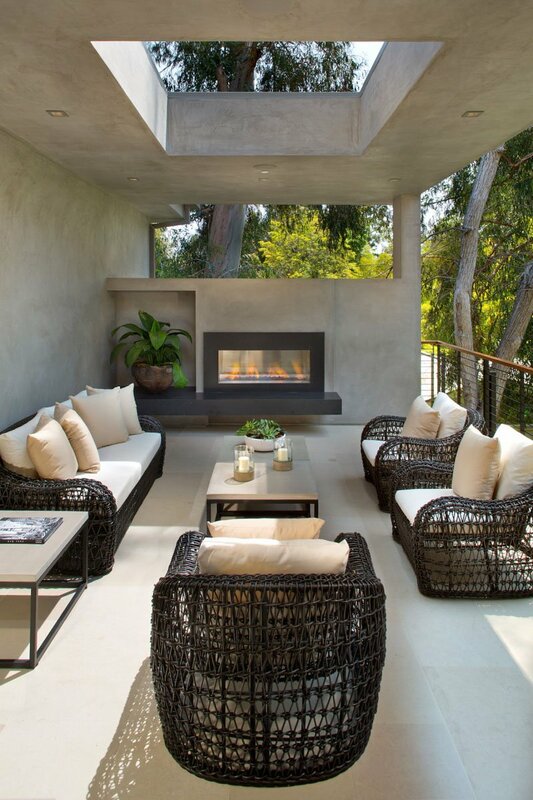 At the end of the indoor lounge is an outdoor lounge with wicker furniture and a fireplace. It also has an opening on the ceiling which brings sunlight to the space. This is another dining area outside of the house which is partially covered. There’s a home office too with a private outdoor space. Small green spaces and courtyards are also featured throughout the home which brings a refreshing appeal to the entire house because admit it, it is nice to see a garden whenever you look outside. This is the office area and the living space with a blue couch and a beautiful coffee table. The office area has a glass desk table. This is the master bedroom with a private outdoor patio, a see-through fireplace, and a small sitting area. It is nice that a fireplace separates the bedroom and the lounge. And I like that wall decor as well. There is another private outdoor space that surrounds the home which is accessible from the bedrooms. This bedroom may be small but it looks really nice because of its choice of decors and furniture. 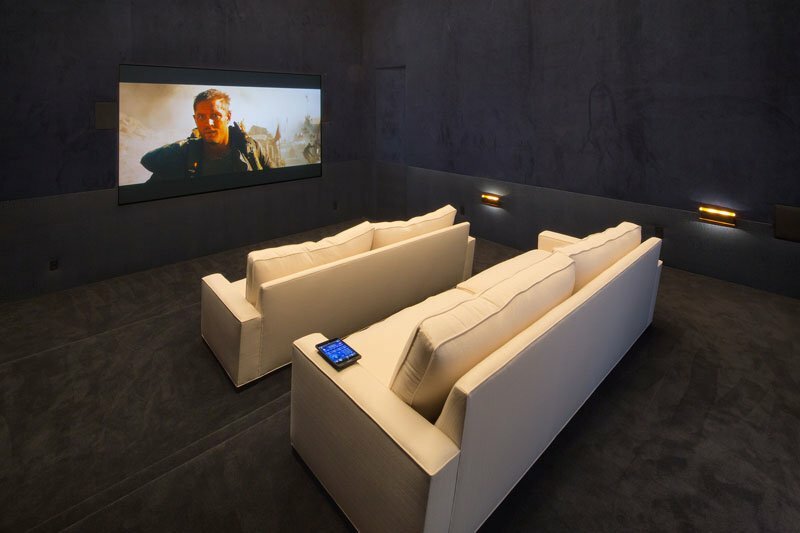 When you think of a home in Beverly Hills, you would expect that it will have a home theater. And yes, this home also has one as well. The master bathroom has its own little outdoor space as well, adding lots of natural light to it. 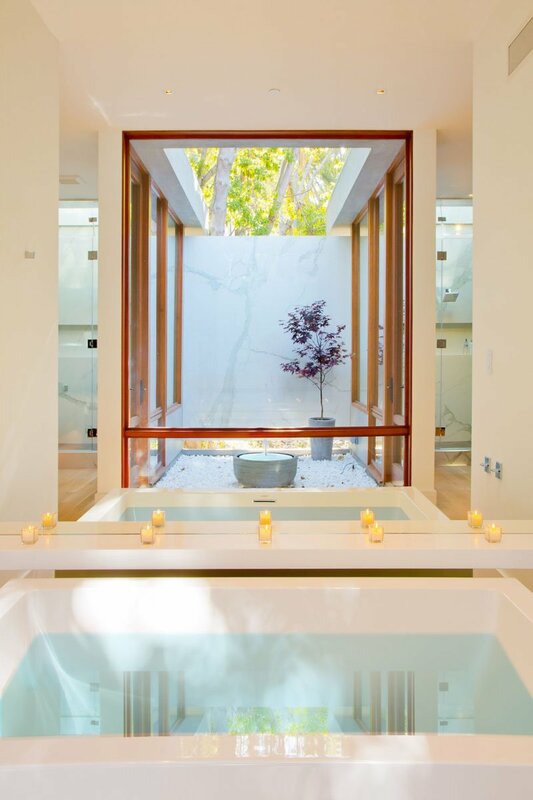 This bathroom features a bath tub and it is indeed nice to dip into this water while looking outside. 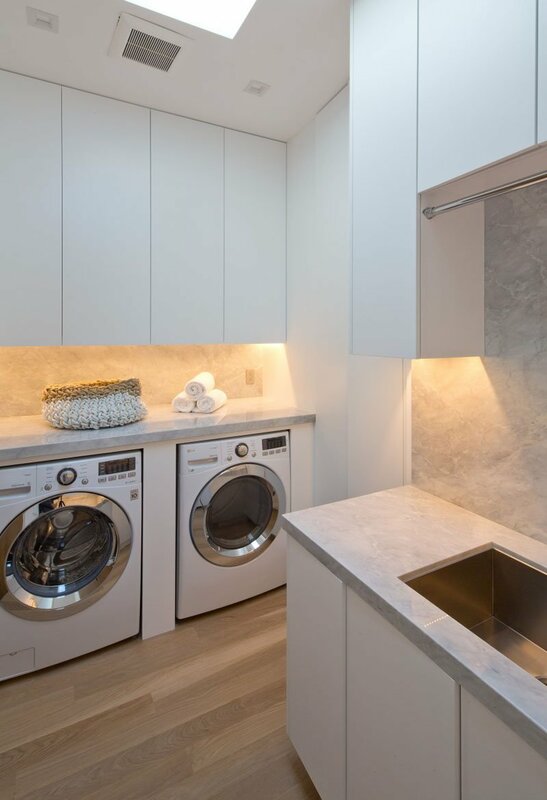 This is the laundry room that is full of white cabinetry and a skylight. Isn’t this a beautiful home? It sure is! The exterior and the interior of the house are all well-designed. But what I love here the most is the little gardens around the house and the swimming pool area. This house is designed by Core Development Group who made sure that the dwelling’s design will fit to the needs of the homeowners. And I guess, the renovation even surpassed the expectation of the owners because just look at how gorgeous it turned out! How about you, what can you say about this home?